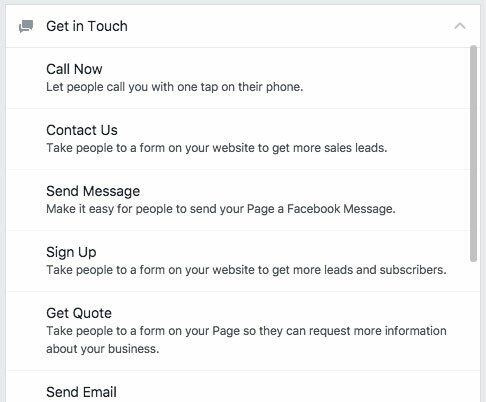 Facebook’s call-to-action buttons aren’t anything new. 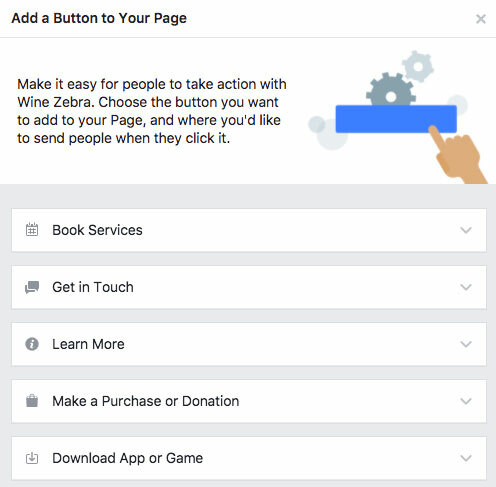 But within the past year, Facebook has expanded the things you can do with these buttons – particularly on pages. 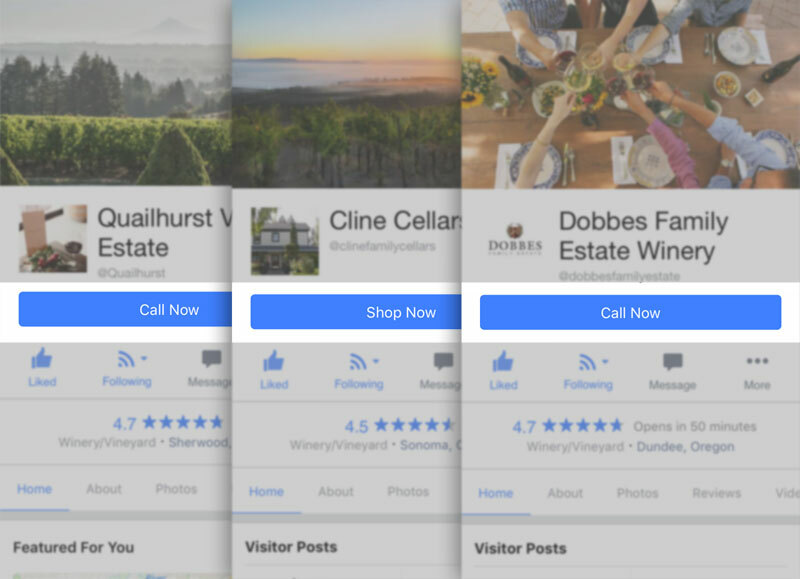 This is huge for wineries who wish to drive more traffic via their Facebook page, whether that’s to your winery’s website or to your tasting room. If you aren’t using them yet… you should. There’s practically no barrier to entry, and they recently made them even easier to use. They allow you to accomplish pre-set business objectives by reaching your audience in a very simple, frictionless, and highly effective way. Used properly, you can expect call-to-action buttons to multiply your conversions. Let’s take a look at some of the ways wineries can accomplish this. The “Download App or Game” is probably not going to be something you’ll ever need to use for your winery, so you can ignore it. The “Shop Now” action seen in the screenshot from Cline Cellars above is found under the “Make a Purchase or Donation” objective. One of the most commonly used objectives is “Get In Touch,” and you can see here some of its actions you can choose from. “Contact Us” is a very useful action for building your winery’s mailing list. 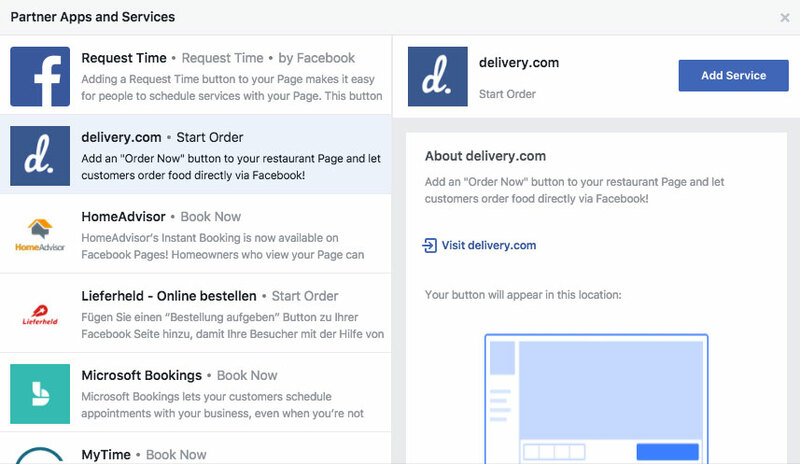 Facebook’s call-to-action buttons can hook up to third-party services to enhance the experience. This is important because it keeps the user in the Facebook experience, minimizing the chance of losing them by otherwise taking them out of it. Remember: the less friction, the better your conversions. Most of the third-party integrations are booking related. For wine bars who can deliver wine & spirits, there is another one of interest: the Start Order action, courtesy of Delivery.com. Facebook’s constantly shaking things up, so this information is subject to change. That’s it! For a third party service integration tutorial, see the video from Facebook below. And now, for the cherry on top: you can track how your button is performing. On desktop, hover over your page’s call-to-action button. Go to “This Week” on the right side of your Page. Hover over the box that shows the name of your call-to-action. For something so simple to use, call-to-action buttons have a pretty robust implementation. They make a very useful addition to any winery’s digital marketing toolbox. Planning your social media strategy? We’re happy to help you figure out your plan and streamline your process. Let us know a little about your winery and your goals below and we’ll be in touch.